Versions of some of Mr. Kamber?s interviews on Lens will appear in his forthcoming book. ?A lot of what we saw wasn?t making it into the press,? Mr. Kamber said. ?Some images were blocked by the military or the embed process itself, others by the photographer?s conscience or by a lack of interest by some media organizations.? Mr. Kamber, who?worked extensively?for The New York Times, felt that his colleagues had witnessed more of the war, from many different perspectives in every region of Iraq, than anyone else. Combatants on both sides saw it from their point of view. Civilians experienced it a different way. 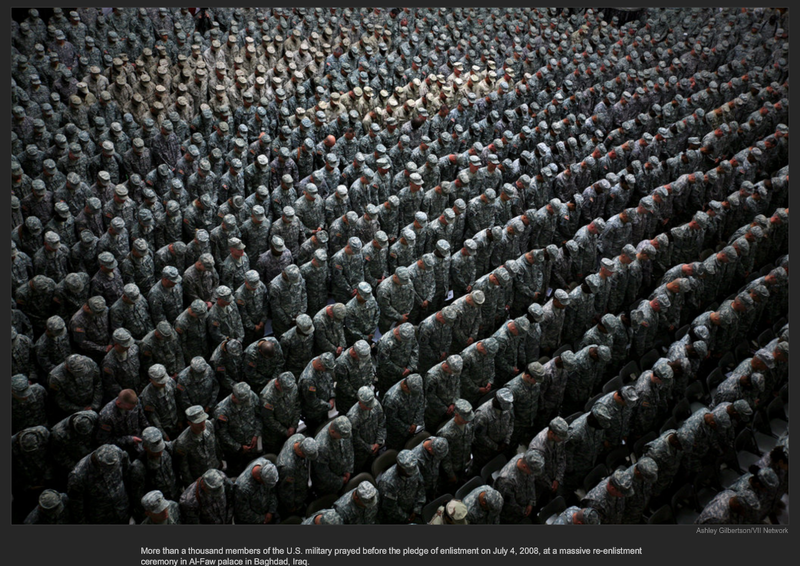 ?I would wager that there was no one who saw more of the Iraq war than people like?Yuri Kozyrev,?Joao Silva, Khalid Mohammed,?Carolyn Cole,?Andrea Bruce?or?Chris Hondros,? he said. ?They weren?t in the Green Zone talking to generals and spokespeople. They were in the street and on the front line year after year.? Mr. Kamber decided that someone had to gather all of his fellow photojournalists? accounts and unpublished images in one place so there would be, in his words, ?an accurate history.? So he took on the task himself and started formally recording his colleagues. 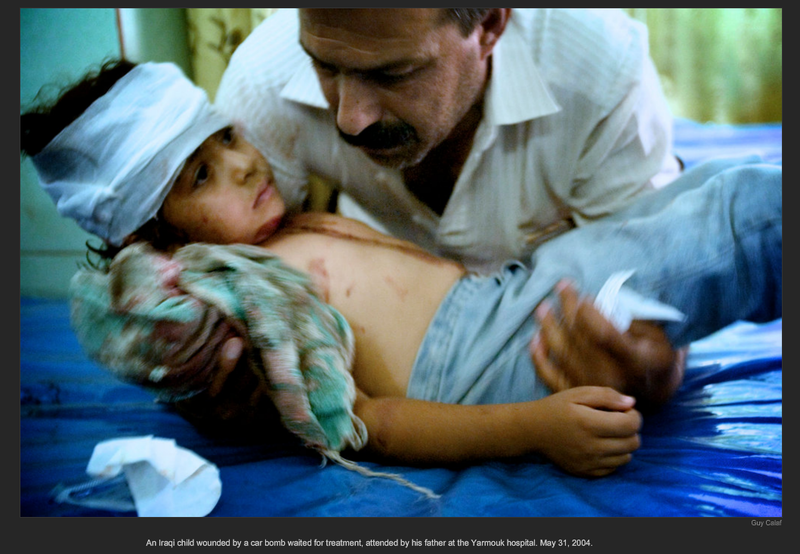 He has collected 39 of these interviews in a book, ?Photojournalists on War.? It is a brutally honest account of the war in Iraq from the point of view of the men and women who photographed it. A visual and oral history, the volume contains many of the most important images from America?s nine-year war, including some that were never published in the United States because of their graphic content. But the heart of the book is the interviews. The photographers open up to Mr. Kamber and discuss their experiences with remarkable candor. The book is a powerful read for anyone interested in photography, journalism or the documentation of war, and will be an invaluable resource for historians. The University of Texas Press?plans to publish?the volume later this year. 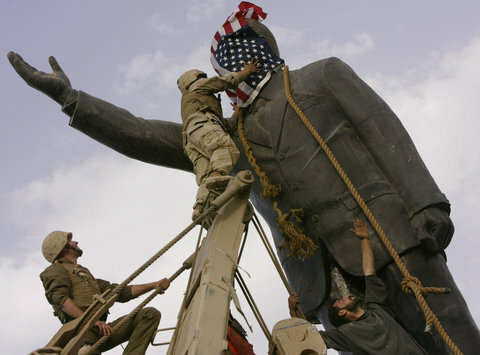 Jerome Delay/Associated PressAn Iraqi man, right, watched a Marine cover the face of a statue of Saddam Hussein with an American flag in downtown Baghdad on April 9, 2003, before the statue was toppled. A collectors? edition, limited to 30 copies, is available for pre-ordering. It will be signed by five of the photojournalists who were interviewed and include an archival print of a photo by Mr. Silva. The special edition is being sold to finance the production of 5,000 standard copies, Mr. Kamber said. Versions of Mr. Kamber?s interviews with?Patrick Baz,?Mr. Silva?and?Stanley Greene?previously appeared on Lens. You have to have a certain mind-set to embed with American military forces. The only real way to cover it was to be embedded. And if you?re not into that ? there are some people who just constitutionally chafe at the restrictions. Not at just the embed agreement but the idea of being on a base with the soldiers. Another factor is that the Iraq war has coincided independently with the implosion of the assignment media magazine world. These kinds of wars 10 or 20 years ago ? where you had dozens of magazines around the world sponsoring photographers, taking care of them, paying for their insurance in these difficult environments ? only a handful of [publications] are doing that anymore. If the media world is not paying for it, ultimately it?s going to limit the number of photographers who go to these places. That?s exactly what happened in Iraq.? 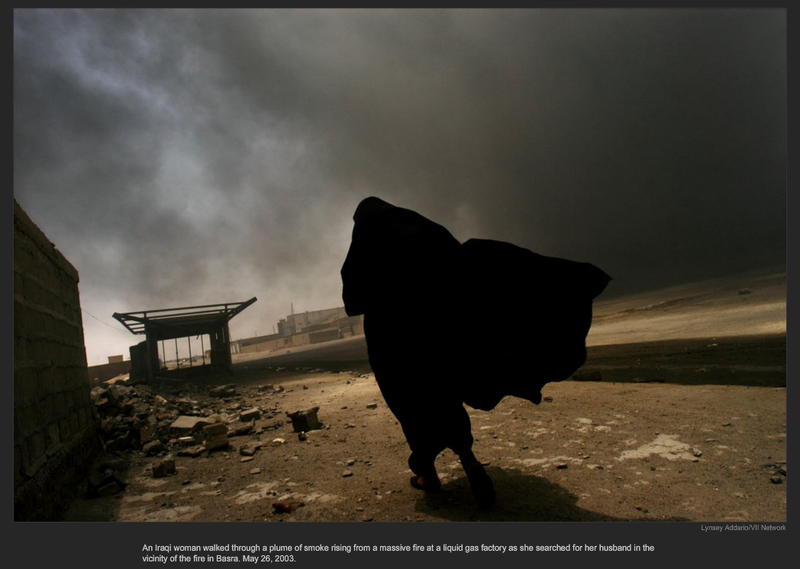 Ahmad Al-Rubaye?is a veteran Iraqi photographer. 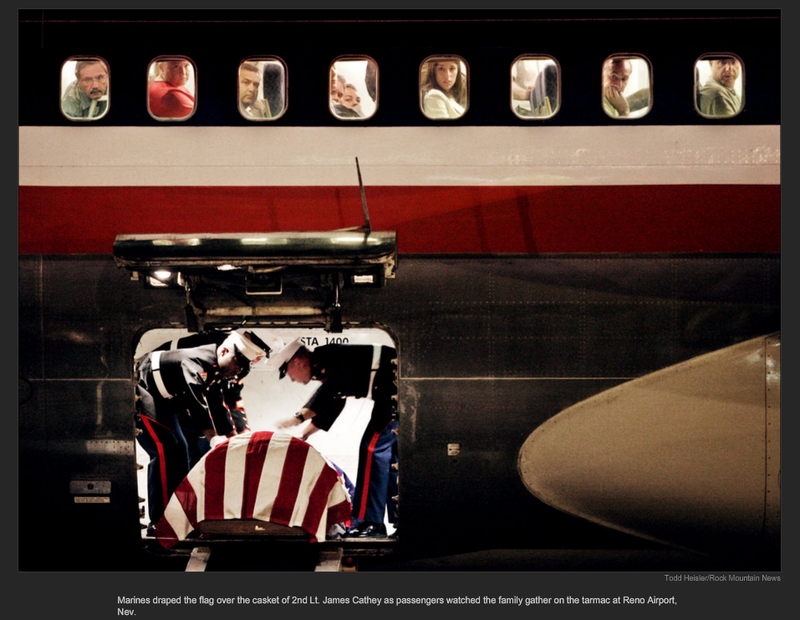 A former carpenter and wedding photographer, he extensively covered the Iraq war for Agence France-Presse. Mr. Kamber interviewed him in Baghdad in March 2010, asking: How many people did you know who were killed? As friends and colleagues, Namir,?a photographer with Reuters; Sayid, also. Another friend, Yussef, he got killed during the sectarian war killings. So many friends and journalists. Ali Al-Wasiti got killed by the American forces. He was working with Al Arabiya TV station. There were so many journalists who were killed. I can?t remember all the names, but many were killed either by bombing or by American forces or they got kidnapped and killed by Al Qaeda. During the sectarian war, I went inside a Sunni mosque and started photographing. The people who were guarding the mosque were from Ansar al-Sunna, and they got suspicious. After they searched me and listened to me talk, they knew I was a Shiite. They took my cameras and destroyed both of them, and they handcuffed and blindfolded me. They phoned someone, a guy called Abu Huthaifa, and told him, ?We were able to capture a Shiite pig.? Once I heard that, I knew there was no point in resisting because I was dead no matter what. But, thank God, there was a sheik there, an old friend of mine from high school, and he was able to convince them to let me go. He told them, ?It?s true he is a Shi?ite, but he is an Iraqi first.? He saved me from a certain death. 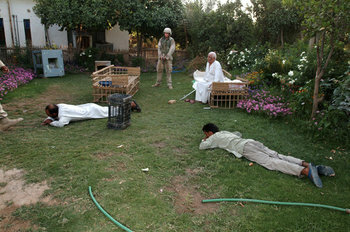 Rita LeistnerDuring a house raid on June 12, 2006, men were separated from women and children and made to lie on the ground at gunpoint. 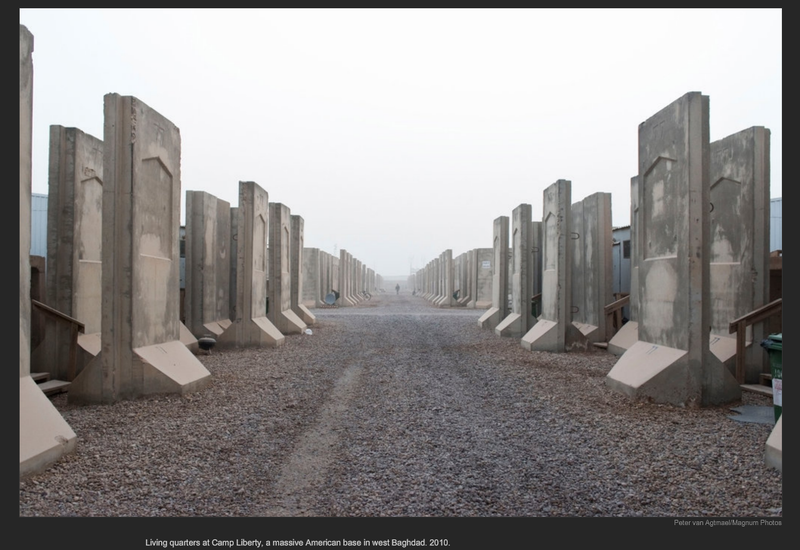 Rita Leistner?is a freelance photographer who entered Iraq on foot with Kurdish smugglers in 2003. During the year and a half she covering Iraq, Ms. Leistner photographed Iraqi detainees, women who were patients in a Baghdad psychiatric hospital, gravediggers during the 2004 siege of Najaf and fighters of the Mahdi Army. You were photographing people who were fighting against America. I?ve heard all these arguments from American commanders ? and even from journalists, American journalists ? who said, ?Well, I didn?t feel like I could photograph people attacking Americans.? But it?s O.K. 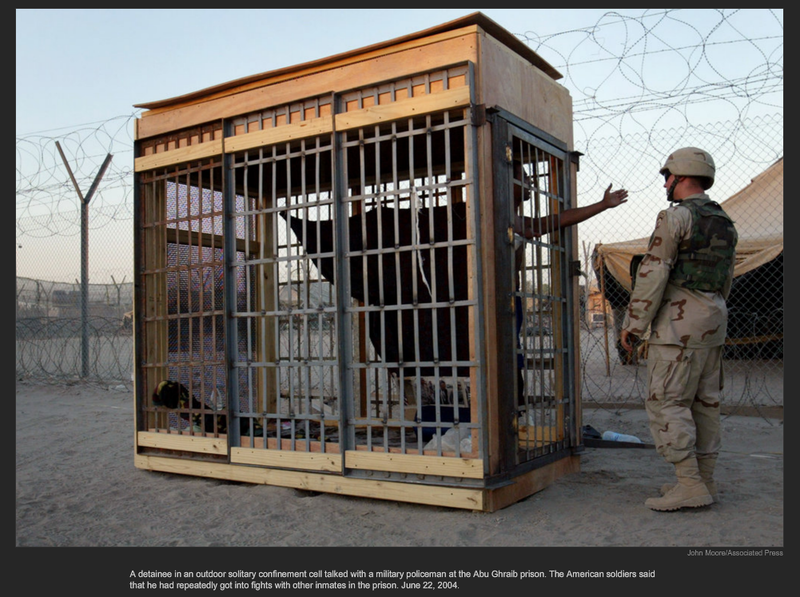 to photograph Americans attacking Iraqis? To me it?s the same thing. You?re photographing people attacking other people. I think it?s unconscionable. And complicated, and I understand it?s a time of war, but either way, it?s really hard to photograph someone who?s firing a weapon at anybody. The Mahdi Army certainly believed that they were fighting for a cause. If you?re trying to tell an overall story for history, how can you exclude something because you think that it?s O.K. for one side to kill and not the other? I?m not pro-Mahdi Army by any means, but I did meet a lot of people who supported the Mahdi Army, and I wanted to find out why. I remember going across this one front line with Bashir, the Iraqi gentleman who was translating and fixing for us, and he?s wearing a pink imitation Lacoste shirt. Two days later, after the cease-fire, one of the insurgents came up to us and said, ?I?m a sniper shooter, and I was going to kill you, but when I saw the pink shirt I thought an American soldier would never wear a pink shirt.? So it shows you how crazy and random survival is, in a way. An American Black Hawk helicopter flew over Camp Lima on March 5, 2004, casting its shadow over sunbathing Polish soldiers.